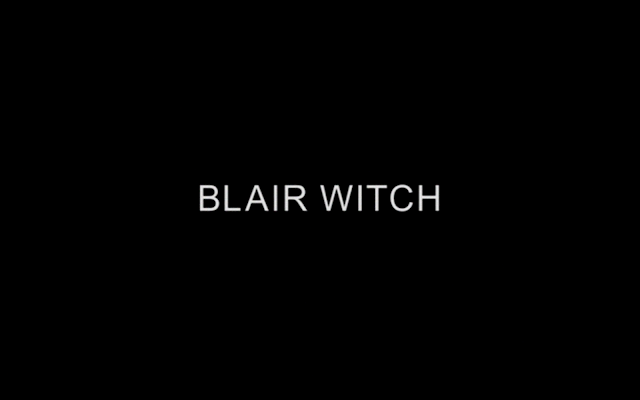 Many were waiting for another sequel to The Blair Witch Project after being disappointed with the first sequel we got (I happen to like the film), but this was not what we had in mind. Instead of trying to something different with the film, the filmmakers essentially remade the first film, with some new ideas sprinkled in. I was anticipating this commentary track. Wingard and Barrett have made two of my favorite films of recent years with You're Next and The Guest. With Blair Witch they fumbled the ball and I was hoping that there would be some sort of explanation or reasoning for why the film failed to live up to the hype. While there isn't any of that, there is a lot of poking fun at the fact that they like the film while most did not. This track was recorded two weeks after the film hit theaters and Wingard and Barrett are shocked by the backlash. I honestly can't see why, the film hit theaters YEARS after found footage films became a joke, the pair take the failure in stride, While the two do poke fun at themselves and the critics, they do offer up a fantastic commentary track, filled with making of goodness and theories that they have about the series. I found this commentary very enjoyable and would recommend it to anyone who has seen the film and wants some insight into the making of the film. Here you will find a feature-length (actually longer than the film itself) making of Blair Witch. 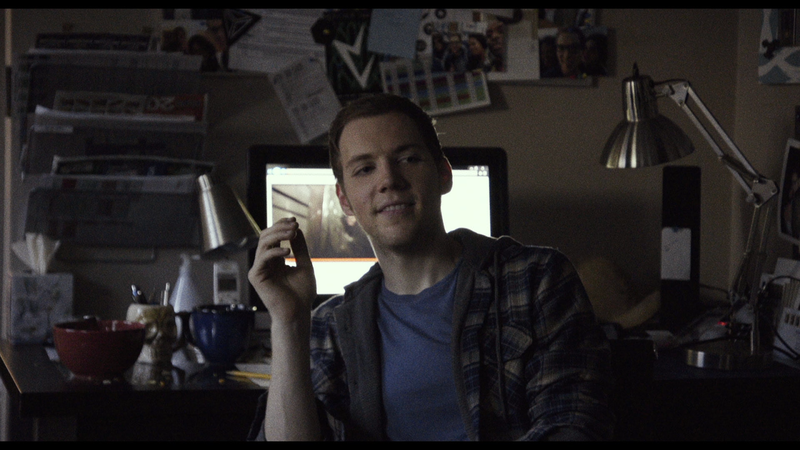 Everyone who worked on the film is on hand to give their take on the shooting of the film. 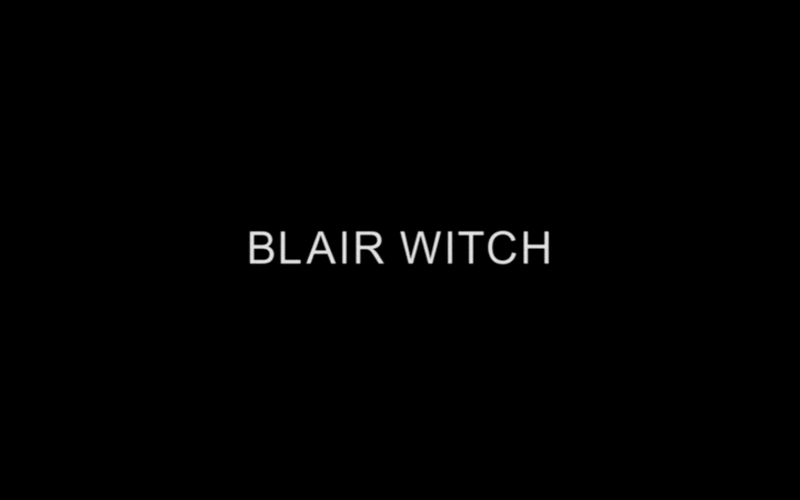 We also get interviews with the two creators and the producer of the Blair Witch franchise: Gregg Hale, Daniel Myrick, and Eduardo Sánchez, who love what Wingard and Barrett did with the series. 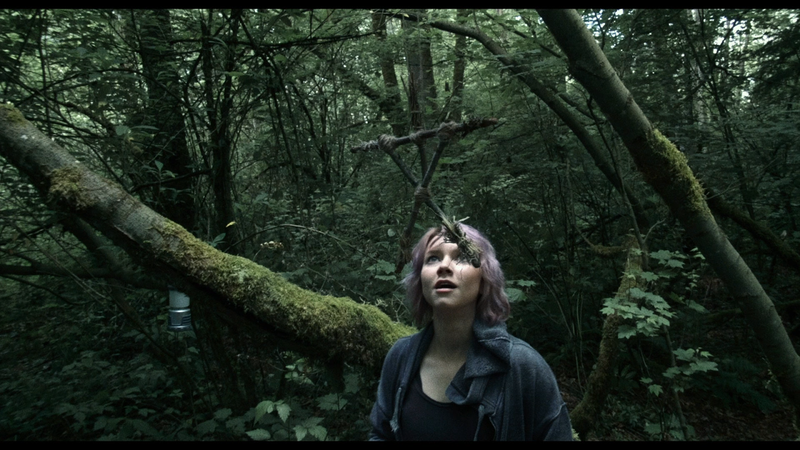 We actually get to see how hard it is to make a found footage film, especially one this ambitious. 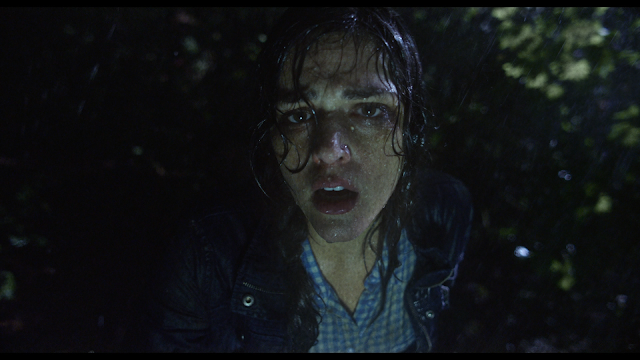 Usually with found footage films, the filmmakers treat the film as actually found footage and include nothing on the blu-ray. The Paranormal Activity films are like this. I hate that. I want to hear about the film, even if it is "real". The filmmakers of the original Blair Witch Project had a commentary track and everything on their dvd and blu-ray, what makes the Paranormal guys so special? Anyways, this is a great making of, showing filmmakers who tried to make a good film and fill it with a lot of heart. Even though the house set is talked about a lot in the making of, we get a more intimate look at the house from the end of the film. A lot of work went into this set, not only trying to make it look like the house from the original film, but also trying to make it their own. I felt that this featurette went on a little too long, but fans will eat this up. These trailers can be skipped and also can be found in the special features menu under "Also from Lionsgate"
Lionsgate almost had a home run with this set in terms of packaging. They used the original poster art which is something that is rare for a new release, but they did a few things wrong. The cover art is beautiful looking except for the ugly blue banner at the top. Scream Factory used to have this same banner at the top of their Collector Editions, but got rid of it when fans complained. It always looks bad, but it is especially terrible here because of the red used for the poster art. The blue banner sticks out like a sore thumb. I don't really understand why they would do this. The DVD version's cover art has the same poster art with "DVD" written at the top in black. Why couldn't they have done this with the blu-ray as well? Moving past the cover and into the case, which is one of the dreaded eco cases, we get two discs, a blu-ray and a DVD. The problem is they both have the same disc art, which is also the theatrical poster. The blu-ray and DVD logos are very small at the bottom of the disc. I can see how people might put the DVD in the player instead of the blu-ray. So my question is: Does Lionsgate think that customers are so dumb that they can't tell the difference between DVD packaging and blu-ray packaging, but are really smart that they can tell the difference between the DVD and the blu-ray in the package? This whole set just baffles me. There is also a slip of paper inside that contains a code for a digital copy (HD) of the film from iTunes or an Ultraviolet provider. This is a really hard picture to judge because of all the manipulations to the original footage. 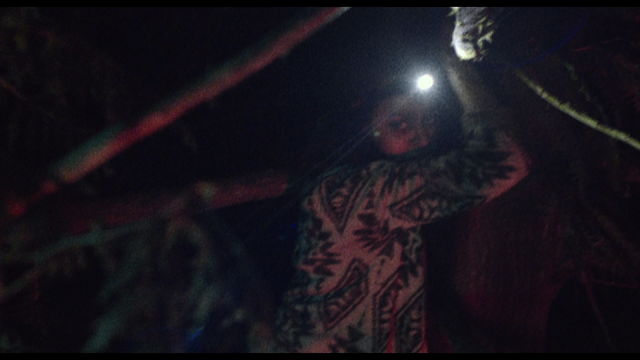 There is a lot going on in this film as the camera is always moving. This could have resulted in ghosting, halos, and an unstable image, but we get all of that and none of it. I can't tell if the transfer is acting up or if the film is like that. I can tell you that there is some murkiness in the night time scenes and that definitely comes from the transfer itself. That being said, this is a good transfer, but hard to make out whether it could be great or if the film is doing the right thing. The soundtrack here is really good. It takes a while for the film to get going, but the filmmakers have littered the track with the surrounding forest, so there is always something there. This helps a lot with immersion. When the film takes off around the halfway mark, the track does the same. There are a lot of jump scares found here and the track handles them well. Once we make it to the house, the film and the track go crazy. The film does it's best to scare us and the track does everything well. 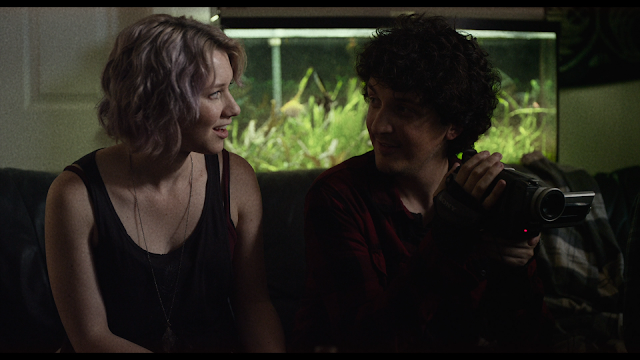 Dialogue can be kind of muddied at times, but I think that is how the film is. Outside of that, this is a really impressive track, though it isn't as good as Deepwater Horizon's track. Now that was a great track. 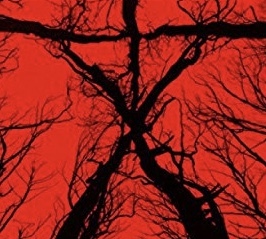 During Comic-Con this past July, Lionsgate announced that the film The Woods that was being made by Adam Wingard and Simon Barrett, was actually Blair Witch, a direct sequel to the 1999 classic. They then revealed the proper trailer (The Woods had gotten a trailer in March 2016, but nothing was made of it being a Blair Witch sequel.) and everyone was hyped. 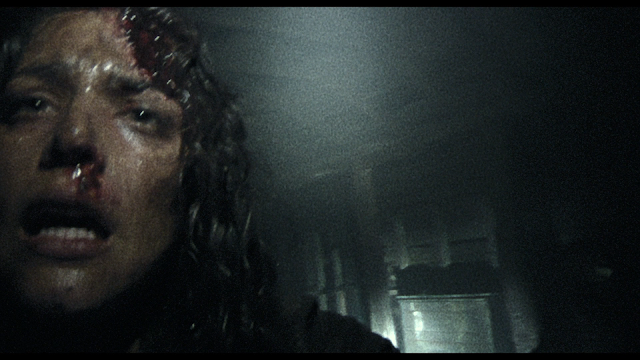 The most popular horror websites and blogs all of a sudden had reviews up saying that the film was "one of the best horror films ever made" and "the most terrifying theater experience". With all this hype I knew that I had to see this film. The original is a groundbreaking film, but I found it a dull and boring. This sequel was being made by the guys who gave us You're Next and The Guest, both of which played with our notions of what we thought those films were going to be. These guys have the talent and I thought that they would be able to take the found footage genre and do something new with it. The film is about a group of people who go into the Black Hills Woods in search of... oh wait....I am giving you the plot to The Blair Witch Project...hold on...ok, here we go. The film is about a group of people who go into the Black Hills Woods in search...I am doing it again...I keep giving you the plot to the original film...What is that you say?...This sequel is essentially a remake of the first film?...Really?...That's a novel concept in 2016. The Remake Sequel. The Remake Sequel has been a big thing that past couple of years. Filmmakers have taken the concept of the sequel one step too far....wait....Ok. Filmmakers have taken the concepts of the sequel and the remake and combine them. Studios fear that sequels are not making the money they want them to make, so they tasked filmmakers to do something different, but not different enough so that the audience doesn't recognize the film anymore. Star Wars: The Force Awakens is a sequel and tells a new story, but does it in the way that the first Star Wars film was told. A lot of sequels have been doing this: Independence Day: Resurgence, Bridget Jones's Baby, Barbershop: The Next Cut (which really should have been about one of the guys at the barbershop coming up with the hot new hairdo and he (or she) gets famous and the others resent him (or her), but come to love each other again by the end. ), Zoolander 2. They have all been doing the Remake Sequel and most of them have failed because they don't offer enough new for the audience to get behind. This is where Blair Witch comes in to play. 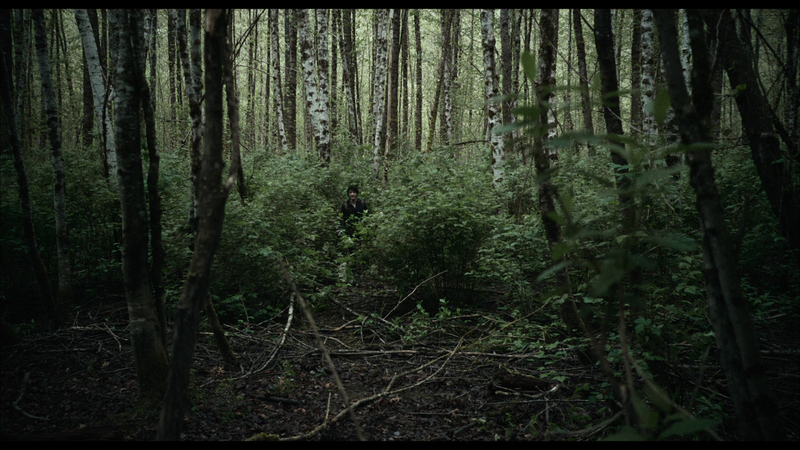 The film is a found footage film like the first film, but does it a bit differently. This time there are multiple cameras. Everything from cameras that look like those douchey bluetooth one ear headsets to drones and everything in the middle. Come to think of it I think that there are only two normal cameras used by the cast. Anyways, having all of these cameras allows the filmmakers to shoot a found footage film that looks a bit more like a traditional film. I will give credit where credit is do and say that this approach works until the third act of the film where everything goes nuts. Up until everything goes nuts, I was with the film. I was having a fun time watching the film. The filmmakers aren't able to build a sense of dread like the original does, but they make up for it by introducing something into the film that would have made the film great...if they had used it properly instead of introducing it, forgetting about it, making a few passable mentions of it, then try to shove it down our throats at the end. This concept, which I will not reveal, would have made that third act so much better. Instead, the characters turn into morons and run around like they have never seen anything before. Like they just received the sense of sight and are using it for the first time. Now this isn't to say that the film jumps off a cliff completely. The first and second acts of the film are strong. We get characters that we can relate to (most of them) and they act like real people. The second act brings some strangeness into the film and there are a few moments that made me jump (in a good way). 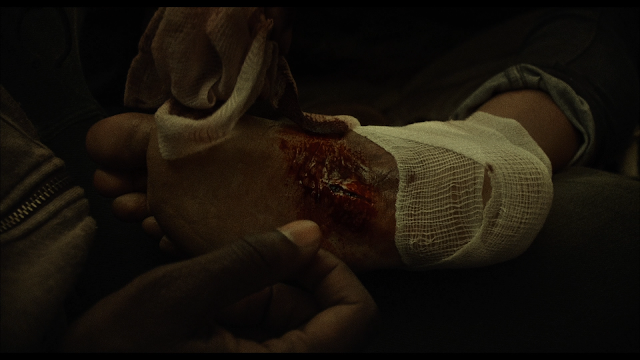 One of the characters slices the bottom of her foot open. The lead character is a paramedic, so he gets her bandaged up and they move on. Later in the film the cut gets worse, but not in the way I (or you) were thinking. These two acts can't save the third act of the film. They discover the house from the first film and decide to go in. While there is a scene where one of the characters has to crawl through a small, but long sewer (I hate tight spaces like that). The scene works and plays on my fears, but the rest of this act just gets on my nerves. Everyone is screaming and yelling out for each other and it grew old and annoying after a bit. This is where that concept that I mentioned earlier would have made the film great. Instead it is nauseating shaky cam and the yelling of names. 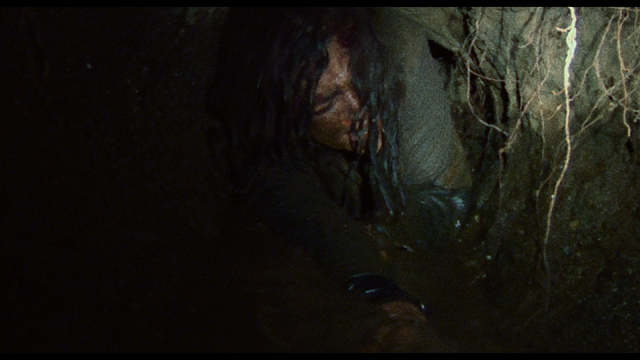 Blair Witch would have been better off if the filmmakers had shot it like a traditional film. 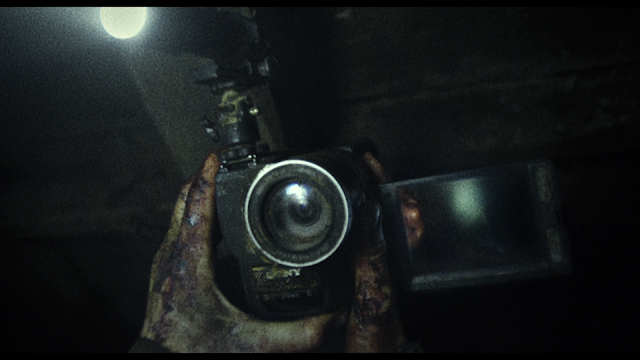 You can tell that they wanted to, by how many cameras these guys carry, but the studio probably wanted the found footage angle like the original had. Blair Witch is far from "the scariest film ever made" or "a new beginning for horror movies", but it isn't as terrible as some have said. The film is marginally better than "meh" and does have some good scares in it. I would say that it is worth a rental at best. I didn't really like the film all that much, but I hope with time that I will find more things to like about it. As it stands, it is an ok film that could have been great. The blu-ray, on the other hand, is pretty nice. The picture quality is good, but is hard to tell if it is great because of how the film was made. The sound is really good and makes up (a little bit) for the film not being that great. The special features are really good with a really good commentary track and a very informative making of. The film itself does bring the score down a bit, but I can still recommend this release because of the features.